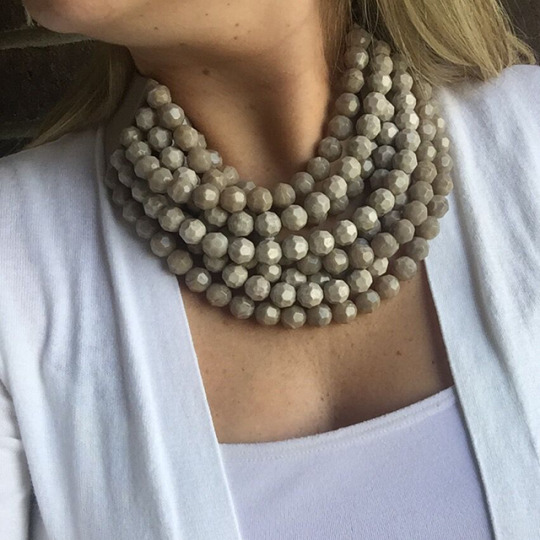 This month’s Co-Founder Pick is our showstopping Taupe Collar. Handcrafted in Italy from faceted resin beads with a leather collar, this statement piece can pivot from a little black dress to a casual white T-shirt with ease. Available for 20% off all month.